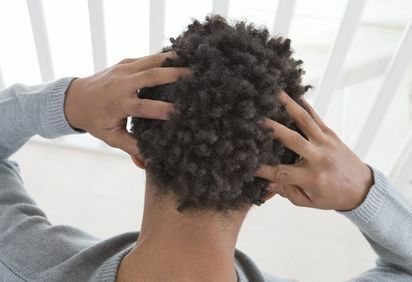 Burning scalp syndrome, also known as trichodynia, is a condition that can cause patients to experience a burning, tingling, and itching feeling on the scalp. Although there is no definitive explanation for its cause, sufferers can experience several effects, including thinning hair and increased shedding. To treat burning scalp syndrome and hair loss, patients should seek medical advice from a trained dermatologist or a doctor specializing in this disorder. Counseling can also be helpful since stress may worsen the condition. If you are concerned about your hair loss, Dr. Robert J. Dorin and Dr. Robert H. True can provide state-of-the-art hair restoration treatments. Our team has decades of experience and several conveniently located offices in New York, New Jersey, and Boston. These symptoms may seem constant or worsen during certain activities, such as combing and brushing your hair. Little research has been conducted on the subject, but it appears to affect three times more women than men. However, men are often less likely to seek treatment and more prone to naturally experience hair loss so it is unclear whether this increased risk is a fact. Burning scalp syndrome and hair loss are closely associated, although studies have been unable to conclude whether hair loss leads to or is a result of trichodynia. In either case, patients can experience increased stress, anxiety, and depression, all of which may contribute to worsening of the condition. We understand how difficult it can be to manage both the physical and emotional toll of burning scalp syndrome, in addition to the impact it can have on your appearance and confidence. During a full evaluation at one of our locations, our doctors will closely examine your scalp and the severity of your hair loss. Depending on your unique case, we will discuss both available surgical and non-surgical options. We understand how frustrating it can be to not have all the answers regarding your condition. However, we also know that improving your appearance can have a huge impact. Our most popular and effective hair restoration treatments include follicular unit transplantation (FUT) and follicular unit extraction (FUE). Dr. True and Dr. Dorin have spent their careers helping patients just like you achieve a fuller, thicker, and completely natural-looking head of hair. Their friendly and personalized approach will help make it easier for you to make a confident and informed decision. If you are suffering from burning scalp syndrome, we understand how frustrating it can be to not have all the answers regarding your condition. However, we also know that improving your appearance through hair restoration can have a huge impact on your overall quality of life and happiness. To learn more about how True & Dorin Medical Group can help and schedule a consultation, please send us a message online or call us at (866) 629-0866.